The " The Fancy Heart Attack puzzle"
I am glad because this puzzle puzzle came alive.It has a lot of gluing with many pieces to construct the final shape of the pieces.It uses all type of pieces(tetrahedra,rhombic pyramid,LHprism RHprism,6side,7side joker,RHss,RHss,Joker. That is something new.A hi level of difficulty with confusing structure.Unlike my other puzzles of similar type this is with a key piece.Its serially interlock and when you put the pieces they can go only one slide axis! !that i think its quite cool. 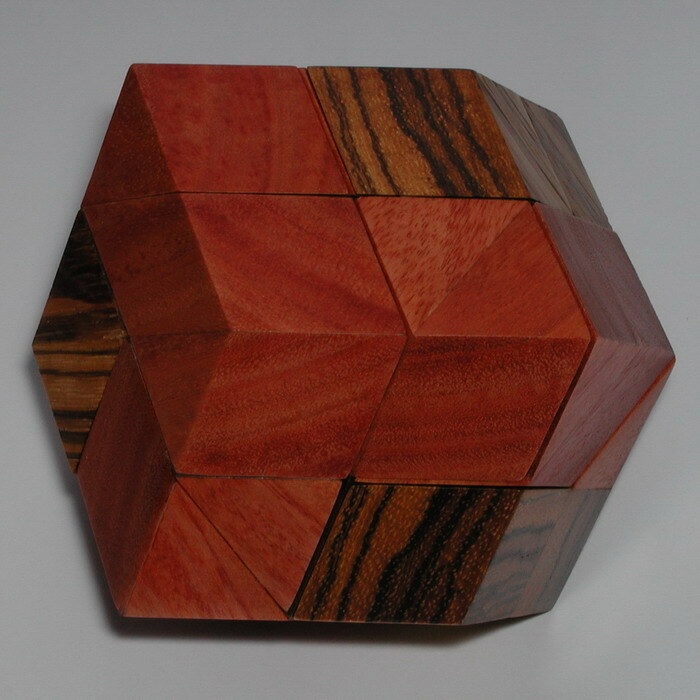 See more pics of the "fancy heart attack" puzzle.or Back to puzzle index.